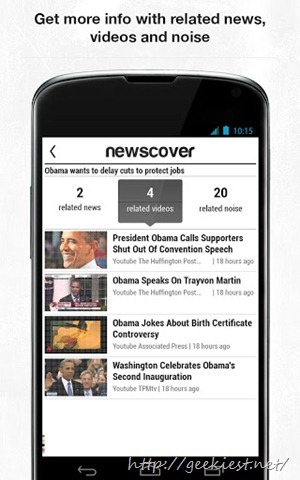 NewsCover is a Free Android news reading application which understands your interests. It learns your kind of news from recent searches and when you open the app next time it shows the news that you are interested in. * Learns your interests and filter the news that you are interested in. 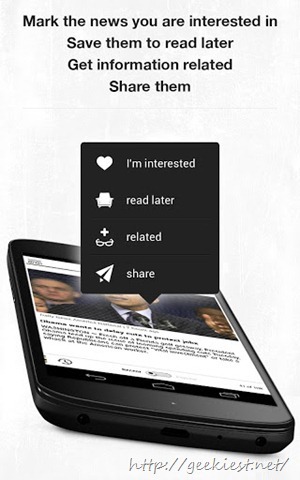 * Choose News from more than 1000 sources. 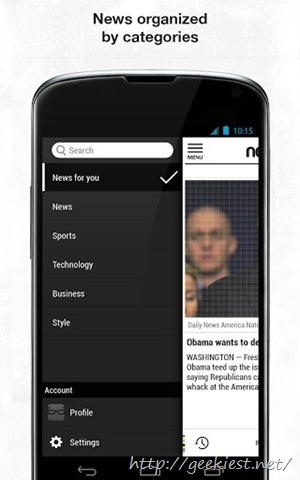 * Well organized, Select categories between news,technology,sports,business and style. 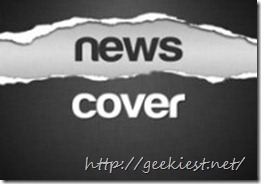 * You can customize the UI like 1 news per page or 3 news per page or 6 news per page. * Supports multiple languages. (currently available in Spanish and English(US) ). * No need to register, just open the app and start reading. 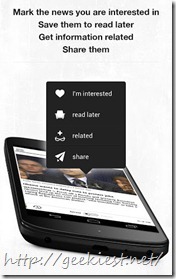 * Related videos and comments from social networks help you to know more about the news you are reading. 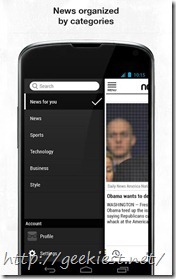 * You can create your own profile so that you can read news that you interested in from anywhere or any mobile. 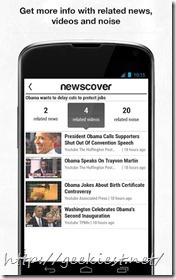 You can read more in detail or download NewsCover from Google Play Store.